I loved this map (click on it to enlarge) . For me it represents the balance between traditional Mind Mapping and the new direction called Sketchnoting. The branches are not organic but the mood stays creative. In order to avoid chaos or too much complexity the author prefered to use only one color for the texts. The center has a good visual impact and the symbols are helping to understand globally the map. 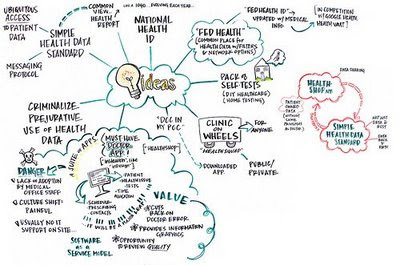 Is this the next step for mind mapping? Mind Scaping might be a more natural fit for those people who are more creative with pen and paper. I'm certainly going to be trying it out over the next few months. Thanks for posting this Philippe! Thanks for your comment Matthew. Maybe it's time to redefine hand made Mind Mapping. I like the use of bubbles or comic-like texts and symbols. There are a lot possibilities. Tony Buzan helped a lot with his rules of Mind Mapping. Today mind mappers are changing the rules. Thank you Roy for this comment. 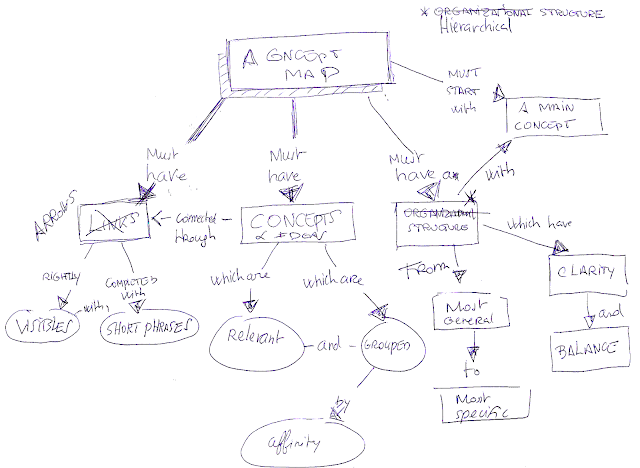 Your links / articles are very useful to understand the evolution of Mind Mapping.